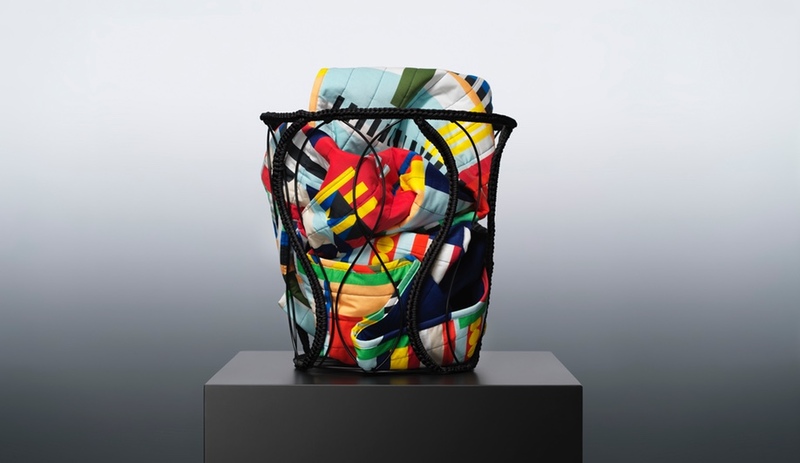 The biannual home accessories and furniture show Maison & Objet kicks off today in Paris. 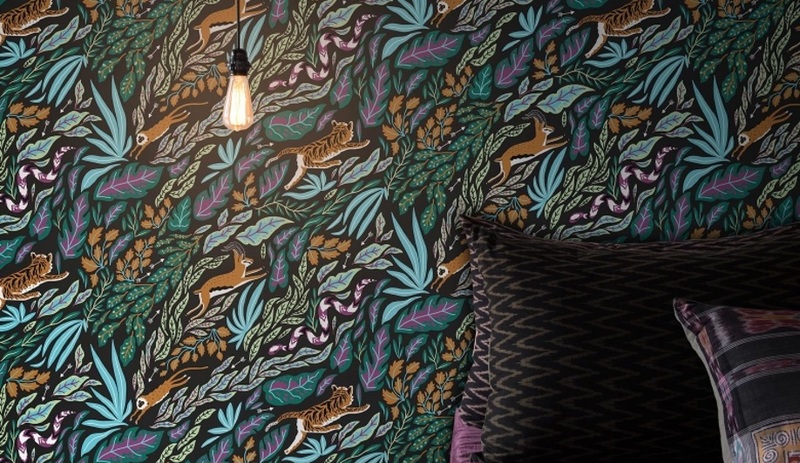 Here are standouts to look for from the likes of Tom Dixon, Seletti and BuzziSpace. The whimsical Italian manufacturer will present a slew of playful accessories, including this concrete collection with a top hat and bowler to hold flowers or wine, and a satchel and pair of shoes that can be used as catchalls or pots for plants. 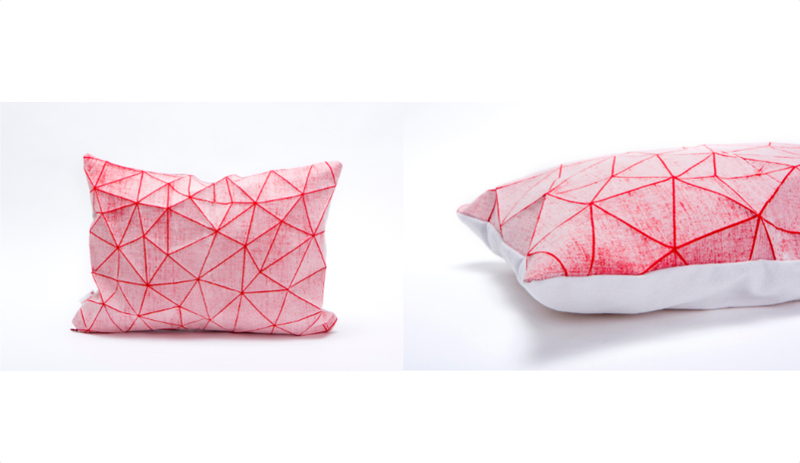 Tel Aviv textile designer Mika Barr continues her exploration of mathematical forms and geometric curves through this new line of cushions. A unique folding technique of flat patterns lends the pillows a 3-D feel. Blankets also form part of the collection available in black, red or white. 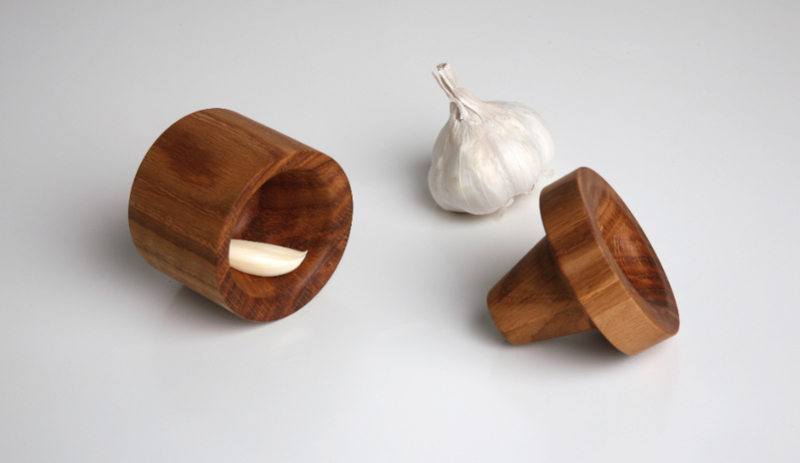 Royal College of Art alums Constantinos Hoursoglou and Athanasios Babalis, now based in Switzerland, introduce their latest wooden accessories including this minimalist spice and garlic crusher. Floating shelves and a grooved tray for nuts or fruit will also be on show. For the Trend Exhibition space, a number of designers were invited to create installations based on the theme of “words.” Oki Sato chose “rain,” as there are a dozen terms for it in Japanese depending on the time of day. For his piece, he has lined up 20 clear acrylic bottles containing pieces of nature to reflect weather conditions such as a fine drizzle or sudden downpour. 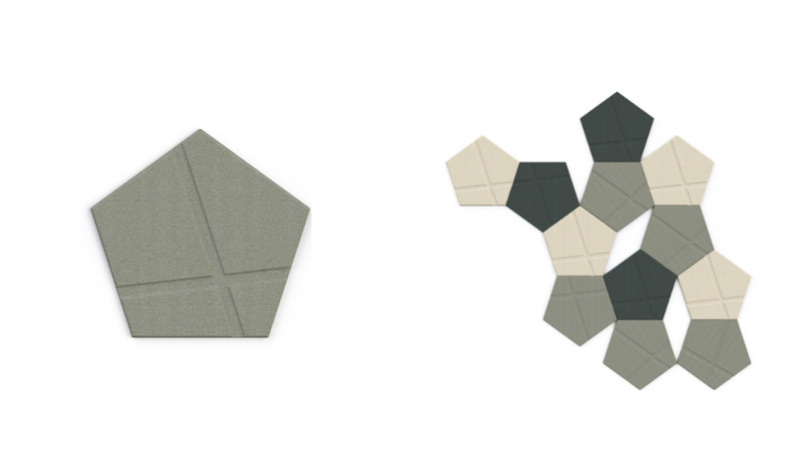 Belgium’s BuzziSpace presents two new sets of geometric acoustic paneling that are both visually appealing and noise reducing – including Penta, both with and without the kite-like indentations. 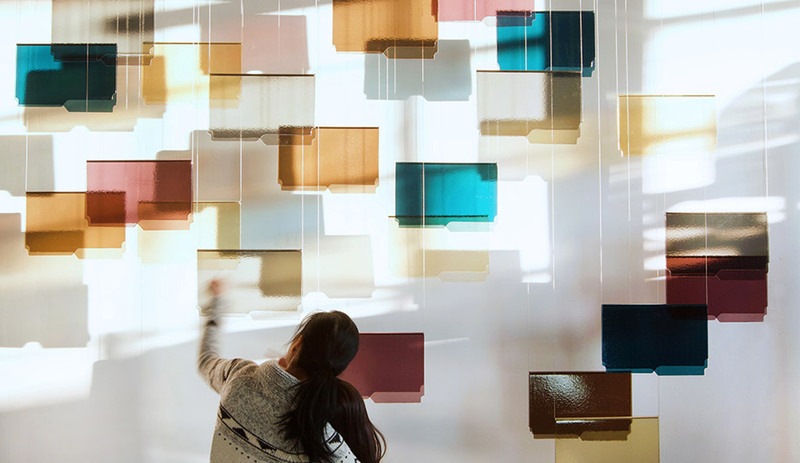 The thick foam pieces, in a palette of muted tones, can be configured any which way on a wall for endless design possibilities. Pia Wüstenberg, the London designer known for her inventive vibrant stacking vessels, expands her collection with these hand-blown glass pieces, large enough to be utilized as side tables or occasional seating. The holes in the bulbous forms can hold floral arrangements. 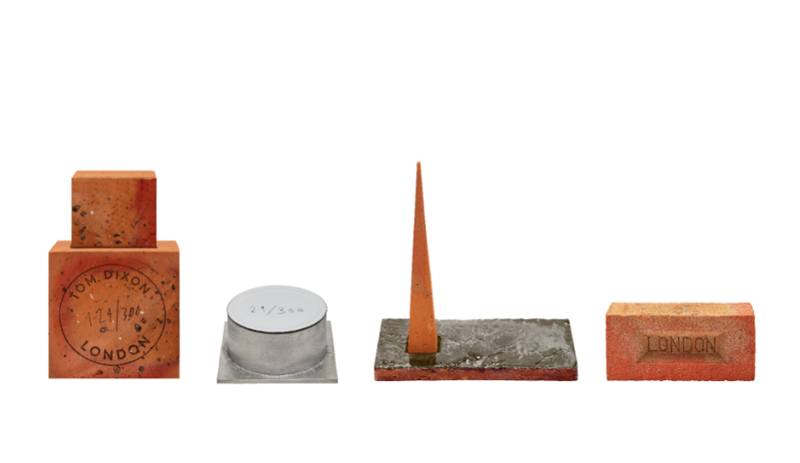 Inspired by his obsession with British manufacturing, Tom Dixon’s latest accessories are composed of materials from a clay pit and red brick factory on the outskirts of London. “We scoured the globe for a new and efficient way of diffusing fragrances: volcanic rock from Indonesia, charcoal from Japan, hi-tech ceramic from Germany, but the most effective material was in our backyard,” says the designer. Mud comprises a candle and two diffusers, and will only be available for purchase at Maison & Objet.